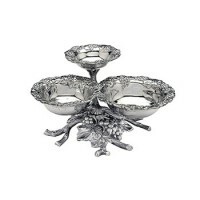 This triumphant trio is created with the lustrous border of the popular jewel pattern. 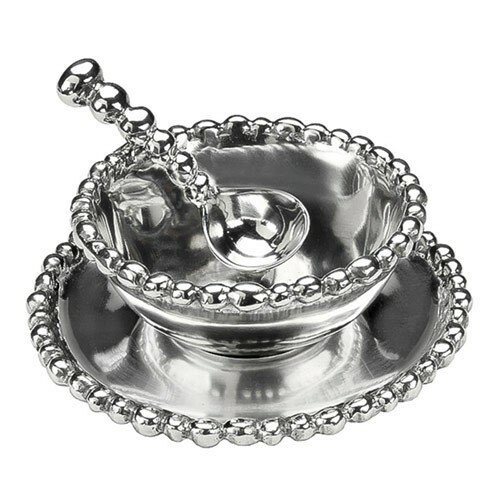 Designed with a bowl, spoon, and saucer, Arthur Court's condiment dish is perfect for serving up dips, sauces, and relishes. 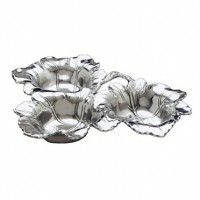 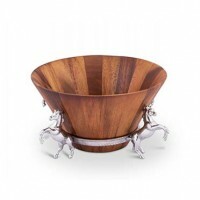 Brighten entertaining with the brilliant luster of Arthur Court's tabletop gifts.